Are the shuttle buses really free with my ticket? We now offer you even more value for your ticket price! Besides the entertainment (over 8 hours of family-friendly entertainment for our reasonable ticket price), free shuttle bus service is now included with each ticket! Visit our Tickets page or Getting to the Airshow page for more details. Please note though that if you have Eagle Squadron or Sunrise Photo Tour/Photo Pit, you will still want to park onsite rather than take a shuttle bus. Your reserved parking is more convenient than the shuttle buses! Advance Tickets (for all types of seating) can be purchased online from our website through our partnership with Etix® online Internet tickets beginning in mid-June (Prime View public sale begins Aug 1). General Admission tickets may be purchased at gates. Visit our Tickets page for more details. General admission discounted tickets also available at all H-E-B business centers. How do I get photographer tickets? 2018 SUNRISE TOUR SOLD OUT BOTH DAYS! Your camera bags will be checked by gate security upon entry. The Airshow performance and many performers’ acts are copyrighted, and your photography or video cannot be used for commercial purposes. All rights to photos during the event remain with the Commemorative Air Force and the performers. Permission must be granted in advance for anything other than personal use. Photo Pit will be enclosed from the general public. Airshow assumes no responsibility for any equipment. No one under 12 permitted to be a pass holder for security and comfort of other pass holders. Please download and read details and instructions for Photography Tickets (updated info pending) from our website before purchase. The Wings Over Houston Airshow will be offering a limited number of Sunrise Photo Tour and Photo Pit passes to non-media guests. Get exclusive access to airshow displays before the show gates open with our Sunrise Photo Tour Pass. Now’s your chance to get better photos of airshow displays and selected performer aircraft without so many people in the foreground! Sunrise Photo Tour Pass holders will be taken on a guided tour of static displays prior to entrance gates opening. Photo Pit Pass holders will have access to a secure enclosed area during the show for photographic purposes during the airshow. What is the difference between General Admission tickets and Prime View or Eagle Squadron tickets? General Admission tickets simply get you in the gate to the Airshow. You are responsible for your own seating during the show. Prime View is reserved seating on the front line, airshow center allowing you a great view of the show and includes an Airshow program. Eagle Squadron provides many great benefits, such as reserved parking, Airshow cap and program, souvenirs, catered food and beverages throughout the day, and indoor and outdoor seating areas. Visit our Tickets page for more details. Purchase early for best pricing! What is Prime View Reserved Seating? Prime View seats are set up along the front line at show center and organized into “boxes” of 10. You will receive a coded wristband that gives you in-out access to the seating area. Your assigned, numbered chairs are yours throughout the day and will remain reserved for you. The seating area also provides easy access to portable restroom facilities and selected commercial food and beverage vendors. On sale now to previous ticket holders, open to public sale August 1. Tickets start at $60 each and everybody needs a ticket regardless of age. Prime View seats are sold on a first-come-first-served-basis and you are given the very best seat available when your order is processed. There is a discount for purchasing 10 or more Prime View at one time. Visit our Tickets page for more details. Purchase early for best pricing! Your Prime View ticket includes entrance to the Airshow. All persons occupying a seat in Prime View must have a ticket regardless of age. Can I use my Sunday reserved tickets on Saturday instead? No. You must use the reserved Prime View or Eagle Squadron tickets for the day for which they are purchased. The reserved seating areas have assigned seats and the other day’s seats are already assigned to someone else. With enough advance notice, you may be able to contact our Ticket Center at 713-266-4492 and request an exchange for the best available seats. General Admission tickets are good for either Saturday or Sunday. Can I upgrade my General Admission tickets to Prime View or Eagle Squadron once I get there? Yes, if space is available in that area. You may pay the difference in your ticket price to upgrade to the reserved seating area. Proceed to the Prime View or Eagle Squadron gateway inside the Airshow and present your ticket stub to purchase the upgraded ticket. Purchase early for best pricing! No. The only ticket discounts that we offer are the advance purchase discounts available through the website up until the day before the Airshow. We already support the military at Ellington with their needs and all branches of military recruiting efforts at our event. Can I come to the Friday Special Show instead? The Wings Over Houston Special Show for the Physically and Mentally Challenged is for those persons who, because of a lifetime physical or mental condition, would have difficulty attending the Saturday and Sunday shows. Tickets are issued by invitation only to qualified applicants. Guests are limited to qualified participants and their immediate caregivers/chaperones only. Please visit our Special Show page for more details on how to apply. Ellington Airport is located just minutes south of downtown Houston. Take I-45 south to the FM1959/Ellington Airport exit and go east on FM1959 to the main Ellington Airport entrance. You can also take BW8 to the Highway 3 exit and proceed south on Highway 3 to the north Ellington Airport entrance. Reserved parking is accessed by taking Clear Lake City Blvd. east from I-45 and turning north on Highway 3 to the south Ellington Airport entrance. Visit our Getting to the Airshow page for more details, and check with wohacustomerinfo.com for the latest updated information. No, Not this year sorry. We are out of available space. Our friends at Pearland Regional Airport LVJ, will assist transient aircraft with prior notice. There are many fine lodging facilities in the Houston, Webster, Pasadena, Clear Lake City, League City, Nassau Bay, and Kemah areas to stay. Here is a list of recommended hotels. 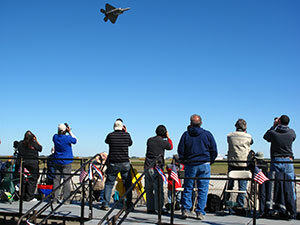 Some may offer special room deals during Airshow weekend. Be sure and book early! Visit the city and chamber websites for motels, hotels, bed & breakfasts and camping areas, as well as a link to online booking of many of these facilities. Where is my Reserved Parking Pass? If your ticket type includes Reserved Parking (Prime View, Eagle Squadron, Business First and private Chalet tickets only), your printed Etix ticket is also your Reserved Parking Pass. Please display the bold heading showing the ticket type and date to the security personnel for admittance to the reserved parking area. Please remember that reserved parking is on a first-come-first-serve basis, so arrive early to insure a quality reserved parking spot! Check with wingsoverhouston.com/2018Customer for the latest updated information and downloadable maps. General Admission and Family Chalet parking? General parking is included with your General Admission and Family Chalet tickets on a space available, first-come-first-served basis. We anticipate free parking spots to fill up, so arrive early to secure your spot. The maps are found on the Directions & Parking Maps page and check with wingsoverhouston.com/2018Customer for the latest updated information and downloadable maps. General parking is included with your General Admission and Family Chalet tickets on a space available, first-come-first-served basis. We anticipate free parking spots to fill up, so arrive early to secure your spot. The maps are found on the Directions & Parking Maps page and check with wingsoverhouston.com/2018Customer for the latest updated information. Parking is included in your ticket price. But please note, due to ongoing construction at Ellington, our parking area is shrinking. Since the shuttle bus service is now included free with each ticket, please consider using the shuttle buses! No. Even if you have purchased tickets, you must leave your vehicle and view the show from inside the Airshow grounds. This rule is due to a FAA safety regulation involving the performance area. Can I go out to my car and re-enter the Airshow? Yes, keep your ticket stub and get your hand stamped as you exit. Can I bring weapons or a firearm to the airshow? Yes! There is no seating included with your General Admission ticket and guests are invited to bring a lawn chair or blanket to sit. However, no tents, large umbrellas, or canopies are allowed. NOTE: Shuttle buses cannot accommodate wagons, large strollers, or chairs that cannot be collapsed and carried on board. You may bring your own food and drink, however you are NOT allowed to bring in a cooler, alcoholic beverages or glass containers. Any food or drink must be in clear plastic container or bag for quick inspection. Loose ice is prohibited. Frozen ice packs are allowed. No large bags. Any bags brought in are subject to search by the security personnel at the gates and you may not be allowed in with such items. No cooking equipment is allowed. Remember that there are many different food and drink vendors available at the show, with most being run by charitable groups as fundraisers. Drones are not allowed. A TFR (Temporary Flight Restrictions) will be in affect with a 5 mile radius around Ellington airport restricting air traffic of all types including any drones. Pets are NOT allowed onto the Airshow area and should NOT be left in vehicles. 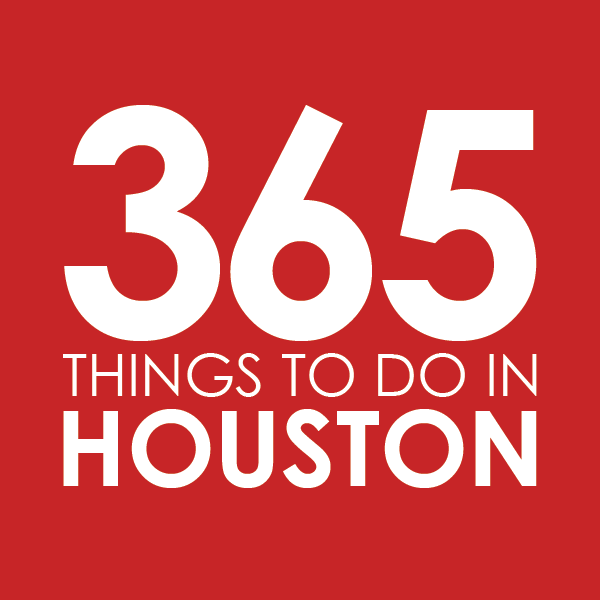 Because of the festival setting with food and drink vendors, the City of Houston Health Department prohibits animals, other than legally allowed guide and assistance animals. Please also understand that temperatures on the tarmac area can easily reach in excess of 120 degrees and will burn a pet’s feet, plus the loud noises and explosions can injure their sensitive hearing and/or frighten the animals. Food and drink vendors are cash-only. Some of the souvenir vendors may take credit cards. There are ATM machines available for obtaining cash located near each information tent. Yes, there are several ATM machines located near the main Information tents, some gate locations, and other areas. We list our acts but cannot give a specific schedule since schedules are finalized much closer to the Airshow and depend on availability and various conditions. Flying generally begins around 10 a.m. and is continuous throughout the day, with the feature act beginning around 3 p.m. These times are subject to change without notice. More information may be found on our Schedule page or Performer page. Generally, yes, the show is the same. However, there may be some variations depending on special aircraft, which may make only a one-day fly-by appearance. More information may be found on our Schedule page or Performer page. The Airshow is held under an open sky. You are encouraged to bring hats, sunglasses, and sunscreen lotion. Limited shade may be found under the wings of some static display aircraft but there is no “shaded area” (except for the premium-priced Eagle Squadron Tickets). Umbrellas are discouraged except at the very rear of the viewing area to insure that all visitors have a good view of the show. No tents or canopies are allowed. Yes! Many of the feature pilots and crew make themselves available before or after their performances to meet their audience. Many of the WWII-era and military crews are at their aircraft during static viewing times and are happy to answer questions and pose with you for photos. There is also a Legends & Heroes Autograph Tent at the rear of the show area, which offers the chance to meet some important, historical persons of aviation including WWII pilots and “Aces”. Airshow performers and NASA astronauts may stop in before or after their performances. Do I need hearing protection (ear plugs)? The Airshow strongly encourages you to bring and use proper hearing protection such as quality ear plugs, and especially so for children. The noise from the jet engines and pyrotechnic explosions may be painful or harmful for some. This is especially true if you are viewing the show from the front line. Many vendors at the show sell earplugs at their booths for only a dollar or two. For young children who may tend to play with and/or remove the foam type plugs, a suggested alternative is sound muffs (available in the gun section of most sporting goods stores, and generally available in children’s size). Please make your own choices on this matter and protect your hearing. Unless the weather is severe, we will fly as much of the show as is safe and possible. In the event that both days of show are canceled, your ticket price will be considered a tax-deductible contribution to an IRC 501(C)3 organization. Due to FAA permit restrictions and performer commitments it is not possible to reschedule the airshow for another weekend. The airshow has made every effort to accommodate those with special needs. Some of the accommodations offered include, a handicap parking area, ADA portable restrooms and a reserved area for wheelchairs to view the show on the ramp. Don’t see an answer to your question? CONTACT US!